The long and storied history of the newspaper dates back to the 17th century, when printers in England successfully circulated a paper filled with events and news. In America, the first newspaper was called the Publick Occurrence, and was started in 1690. We know these things because newspaper archiving services have been around since even that time, and have been keeping historic documents safe from the elements and decay for our use and education today. It’s important that we continue to uphold this practice now, but as our most historic newspapers grow older, it can be hard for newspaper archiving services to protect crumbling paper and fading ink. Some of these documents have been around for a very long time, after all. That is why digital archives are becoming so popular. A digital archive is simply a scanned copy of the newspaper that the archiving service has turned into a searchable, interactive document. These digital archives are not only great for protecting and preserving information; they also make it easy for anyone to learn from the newspaper, even those who may never have gotten to see it otherwise. The American government has a website where they chronicle all newspapers from as far back as 1836, and continue today. Their newspaper archiving services can help you find out if the paper you have is indeed rare or worth preserving. If you do have newspaper clippings that you want preserved, a service that understands how to work with and store such delicate paper and ink is the best choice. 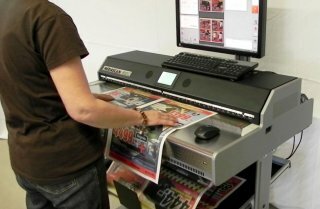 Be sure that the newspaper archiving services you consider all have experience in the area, and that their digital archiving team knows how to scan documents so that they are easily readable. In this way, you’ll have the ability to access and study your rare newspaper documents, without disturbing the delicate paper. eRecordsUSA is specialized in providing Newspaper Archiving Service / Newspaper Archival Services / Newspaper Scanning Service. Would you like to receive a free quote to archive your newspapers? Call +1.855.722.6669 or eMail us at info@eRecordsUSA.com. eRecordsUSA offer Newspaper Archiving Services in following areas of California, San Francisco, San Jose, Silicon Valley, Santa Clara, Sunnyvale, Redwood City, Mountain View, San Mateo, Marin East Bay: Fremont, Oakland, Alameda, Livermore, Contra Costa, Pleasanton, Concord, San Ramon, Dublin, Hayward, Milpitas, Napa Valley: Vallejo, Pittsburg, Fairfield, Petaluma, Sonoma, Santa Rosa, Solano & Martinez.